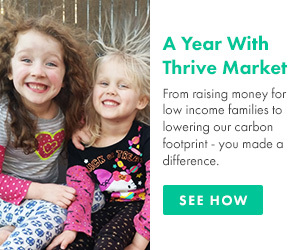 Sure, summer cooking is hard to beat with backyard barbecues, an array of fresh produce, and frozen cocktails to sip in the sun, but don’t let the change in weather put a bad taste in your mouth. 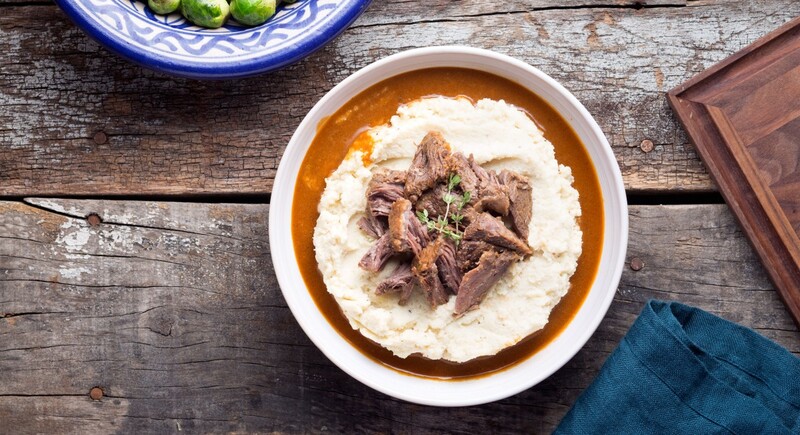 From phenomenal seasonal ingredients to warming comfort foods, fall is full of flavor. 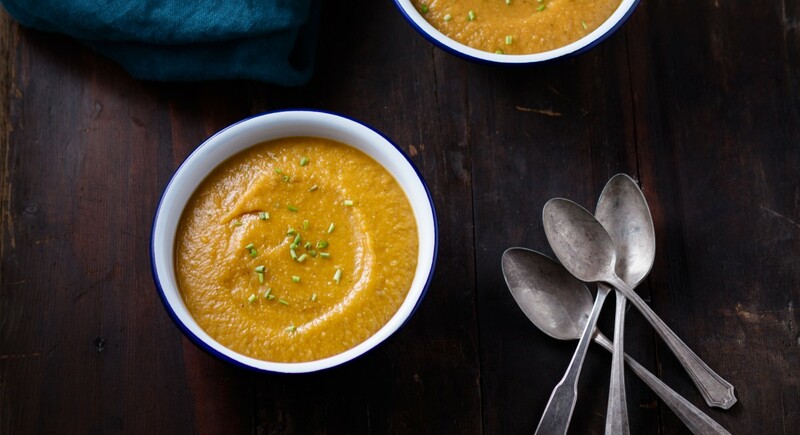 Need a little recipe inspiration for the cooler months ahead? We’ve rounded up 35 of our top autumn recipes for just about any occasion, making the transition into the season a whole lot tastier. Believe it or not, pumpkin isn’t the only ingredient in season during the autumn months (though you’ll want to stock up on that, too). Here’s a short list of the best fall produce (plus a go-to list for the rest of the year). Apples: Pay attention to the skin and opt for apples that are bright and blemish free (dullness indicates an apple may be past its prime). Beets: Avoid soft or moist beets and go for those that are more equal in size so they will cook evenly. Brussels Sprouts: Try to find those growing on a stalk if possible as they tend to last longer. Butternut Squash: Choose a squash that feels heavy, is relatively blemish free, and exhibits a solid beige color. Cauliflower: Choose compact heads that have more green leaves for protection—they tend to be the freshest. Green Beans: Be mindful and avoid wilted, flabby beans that don’t appear fresh. Leeks: Look for leeks with fresh top leaves rather than ones that look wilted. Mushrooms: Select mushrooms with a firm, smooth texture and as little moisture as possible. Pears: If you’re looking for ripe pears, press lightly at the top of the fruit beside the stem. If it gives slightly, the pear is ripe. Pumpkin: Knock on the pumpkin’s shell and listen for a hollow sound. Sweet Potatoes: Opt for small to medium potatoes which tend to be sweeter and creamier. Fall into the season with our favorite breakfast, appetizer, lunch, dinner, and dessert recipes. Get a jumpstart on the day with the flavors of fall. We’ll pretty much get behind pumpkin anything during fall, but this blend of pumpkin purée, banana, dates, coconut milk, and warming spices is a Thanksgiving dessert in a glass. We can’t wait to wake up with this decadent combo of pear, cacao powder, almond butter, dates and chia seeds. What takes these hotcakes from good to obsession-worthy? The vegan, tofu-based cream cheese filling that’s spread between each layer of these quinoa flour cakes. We’re sweet on this clever take on waffles—especially when topped with a fried egg, cubed avocado, and a sprinkling of cilantro. There’s nothing better than waking up to an already prepared breakfast, which is why we love this overnight recipe that pairs baguette bread with apples, maple syrup, ghee, almond milk, cranberries, and pecans. Whip up homemade bread fit for a caveman with this Paleo-friendly recipe that uses almond flour, coconut flour, and tapioca flour along with organic pumpkin, allspice, coconut oil, and pumpkin seeds. Make the most of seasonal produce, and get your guests excited about what’s to come with these autumn starters. This plant-based app is anything but boring thanks to a hummus-like dip of puréed cauliflower florets, olive oil, and garlic powder with carrot chips for dipping. This fall take on hasselback potatoes squashes the competition by swapping in slit butternut squash that’s baked in red palm oil, maple syrup, cinnamon, nutmeg, and cayenne pepper. 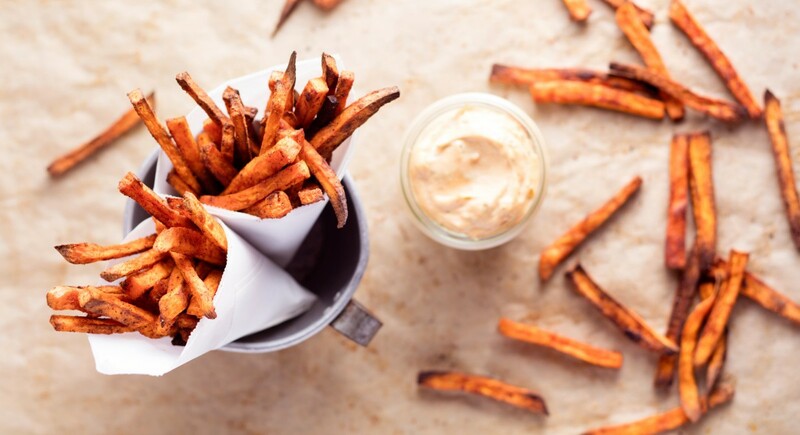 Skip the ketchup and dunk seasoned sweet potato fries in a zesty and spicy mix of chipotle lime mayo. This vegan recipe is surprisingly hearty and requires minimal prep. Cauliflower and onion are coated in bold spices like curry and cinnamon, then tossed together with raisins and coconut flakes before hitting the oven. Cause a stir at your next cocktail gathering by serving up these sweet and crunchy seeds, roasted in cinnamon, ginger, cloves, nutmeg, and maple syrup. Elegant and understated, this recipe combines roasted red and golden beets with goat cheese, red wine vinegar, honey, star anise, and tarragon leaves. While we can never turn down fries, this Paleo-friendly recipe is particularly inviting with parsnips instead of potatoes and a sorrel mayo for dipping. Satisfy those midday cravings with comforting fall lunches. Creamy-sweet with a salty pancetta punch, this soup checks all the boxes for your weekly fall rotation. Brussels sprouts and radicchio along with sesame, sunflower, and pumpkin seeds are drizzled with a tangy apple dressing and topped with shaved parmesan. 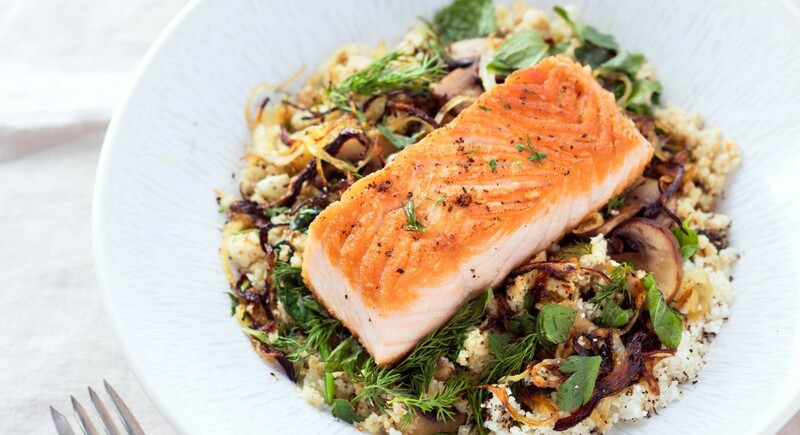 Fuel up with this grain-free recipe of sauteed veggies and spiced cauliflower rice topped with baked salmon. Take a simple bowl of tagliatelle to a new level by adding cauliflower roasted in EVOO and red pepper along with a garlicky pine nut–parmesan sauce. Give basic sweet potatoes a decadent upgrade with aromatic sage, nutmeg, and heavy cream. To keep this Paleo or vegan, use coconut cream for heavy cream, and leave out the crème fraiche topping. Clean-eating approved while still delightfully filling, this dairy-free soup blends together green beans, almond flour, leafy greens, and vegetable stock. 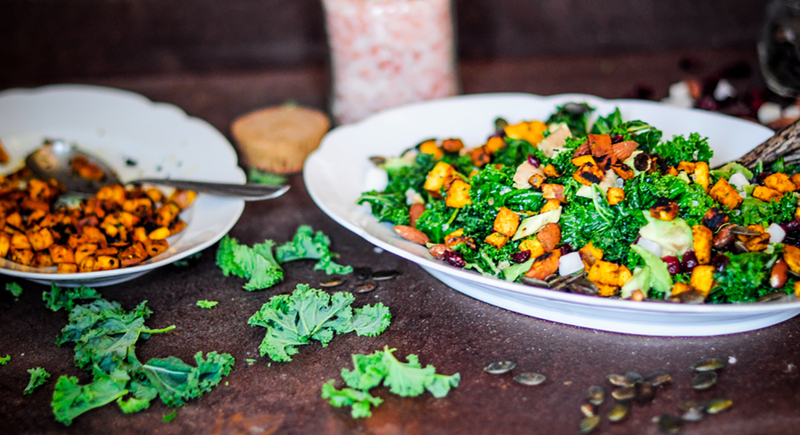 This colorful salad will brighten up your day with a rainbow mix of kale, sweet potato cubes, dried cranberries, pumpkin seeds, and almonds for a dish that’s almost too pretty to eat. What’s the secret to a zesty, dairy-free Caesar? Nutritional yeast! The umami flavored favorite easily swaps in for parmesan and pairs perfectly with kale, bacon, and avocado slices. Warm up and gather around the table with these rich and flavorful dinner recipes (and find even more fall recipes here). No meat? No problem! 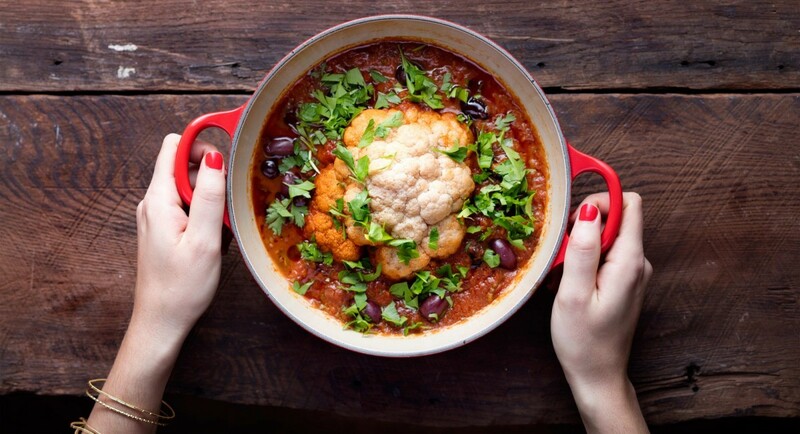 Braise an entire head of cauliflower in a rich roasted tomato sauce, spices, salty kalamata olives, and anchovy fillets. Give this savory meat pie a vegan update with lentils instead of ground beef and mashed parsnips for mashed potatoes. The tender meat of these braised short ribs practically falls off the bone after being slow cooked in ghee, coconut vinegar, tomato paste, raw honey, coconut sugar, and coconut aminos. These turkey meatballs are hearty enough on their own with sage, pine nuts, and dried cranberries, but they’re even better when served over olive oil-drizzled spaghetti squash. We’re pretty partial to the original potato fritter, but this version with sweet potatoes, celery root, organic spices, and coconut oil is a palatable modern twist. Sweet and tangy, this simple but satisfying side serves up red cabbage braised with pears, ginger, and balsamic vinegar. This one-pot, quick and easy pasta combines meaty shiitake mushrooms, baby kale, and parmesan with hearty rotini. When it comes to seasonal dessert recipes, fall takes the cake! Here are some of our favorite fall sweet treats. 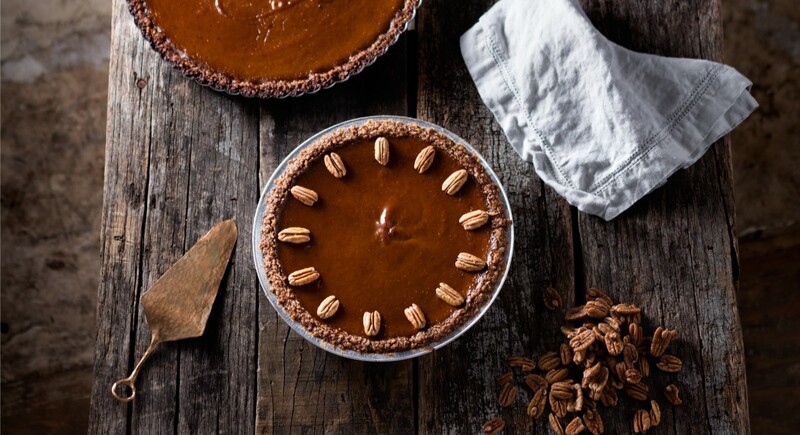 With all the classic flavors of fall, including pumpkin, pecan, maple, cinnamon, and ginger, it’s hard to believe this recipe is also Paleo-friendly. A batch of these golden, chewy nibbles will chase the fall blues away with gluten-free rolled oats, dried apples, maple syrup, ginger, cinnamon, and cardamom. 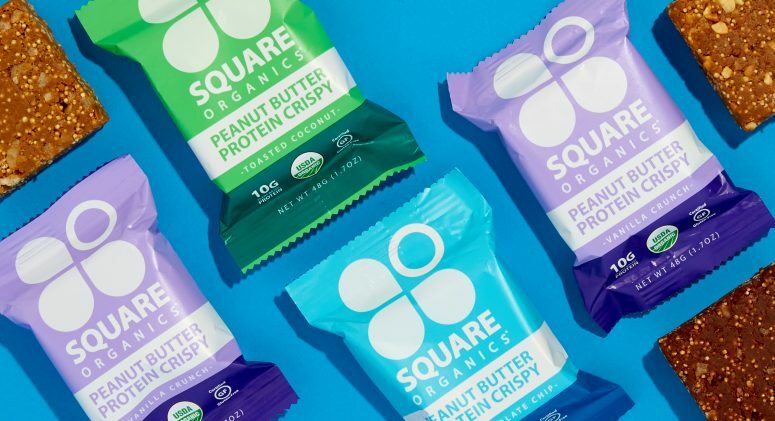 Vegan and gluten-free, you can feel good about indulging in these healthful treats, made with pumpkin purée, vegan chocolate chips, rolled oats, and coconut sugar. 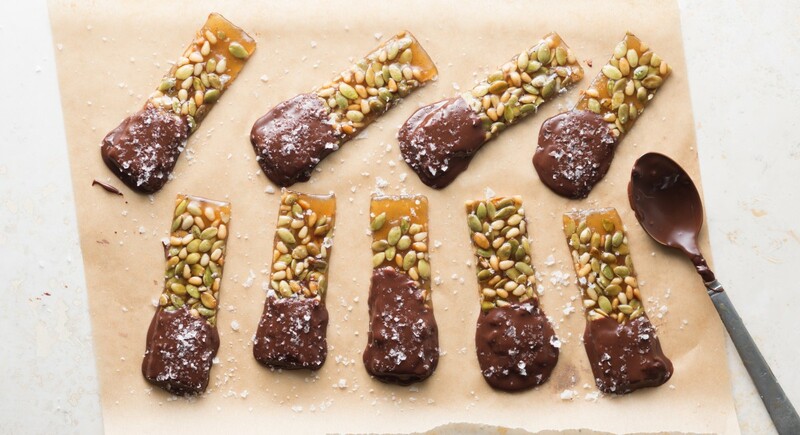 Pumpkin seeds, pine nuts, and cardamom elevate this simple candy favorite while a dark chocolate and sea salt coating amps up the flavor. 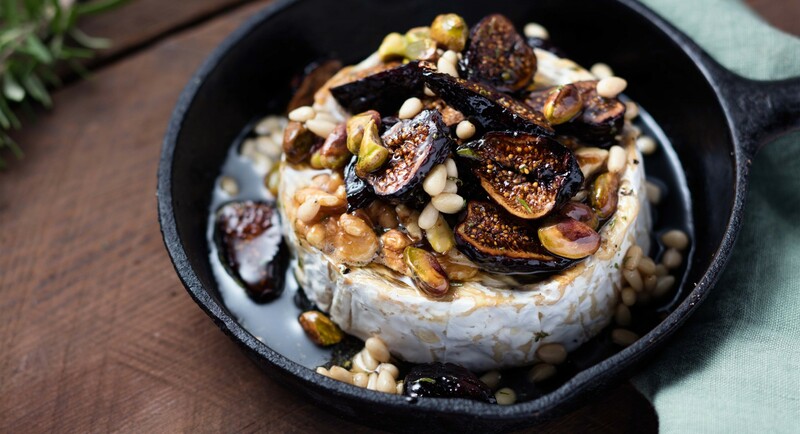 Just when you thought warm, gooey baked brie couldn’t get any better, this recipe tops it with honey, walnuts, dried figs, pistachios, and fresh rosemary. This gluten-free upgrade on the classic French dessert (an upside down dessert with caramelized apples) uses nutty granola, gluten-free coconut flour, and sweet maple syrup. 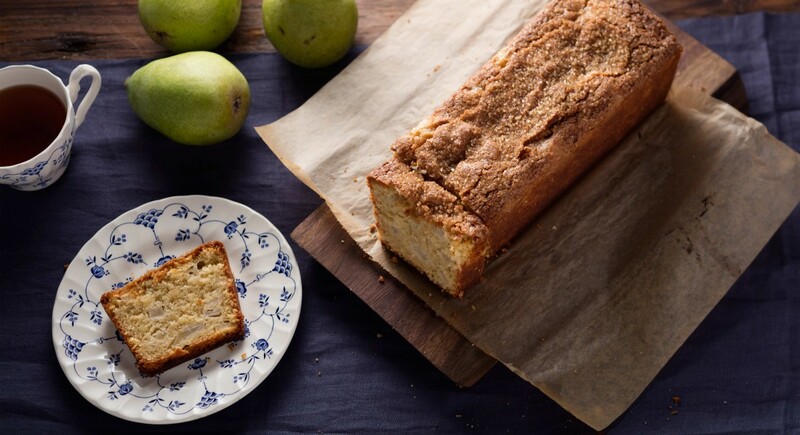 This light and airy gluten-free loaf combines delicate pear with savory tahini for a beautifully balanced treat that pairs perfectly with a cup of tea.